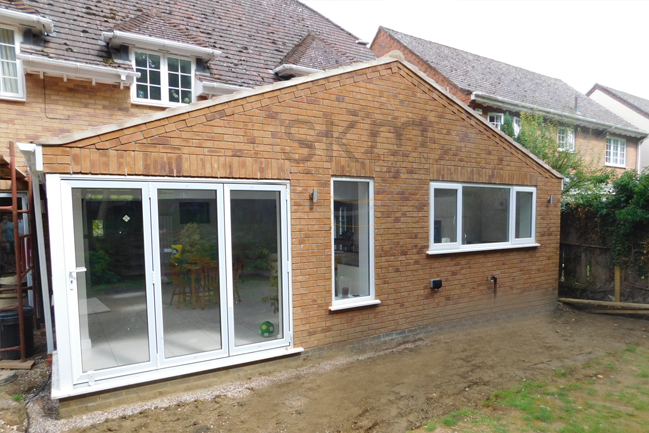 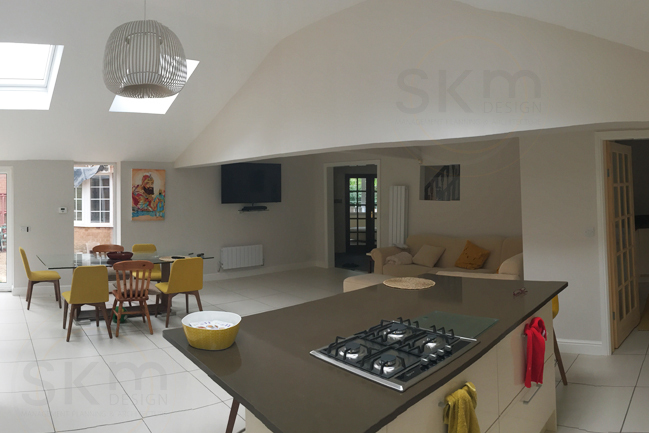 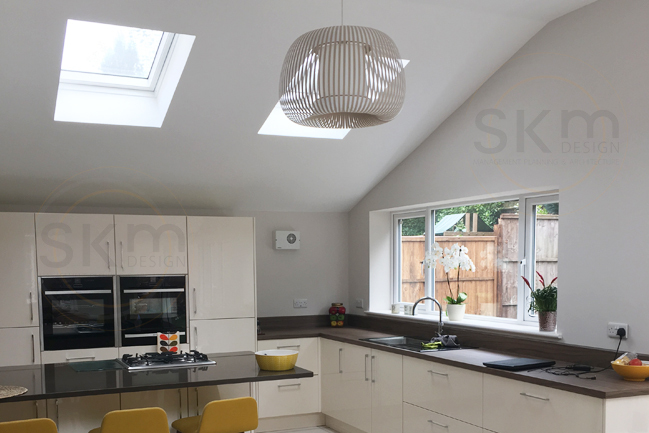 This residential project underwent a two storey side extension and a single storey rear extension. 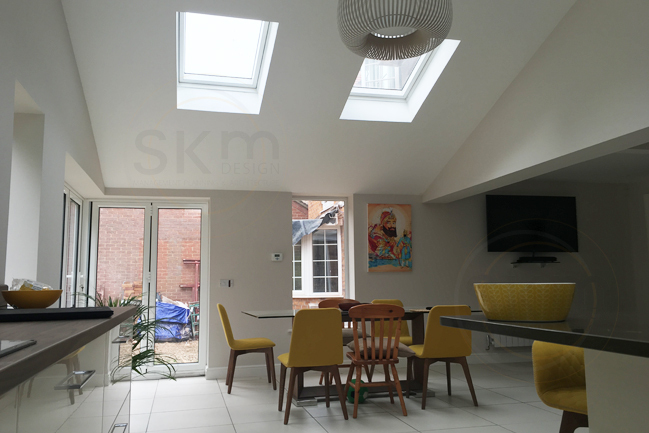 The rear extension contains a spacious kitchen-diner, brightened by the four skylights above, and a utility room. 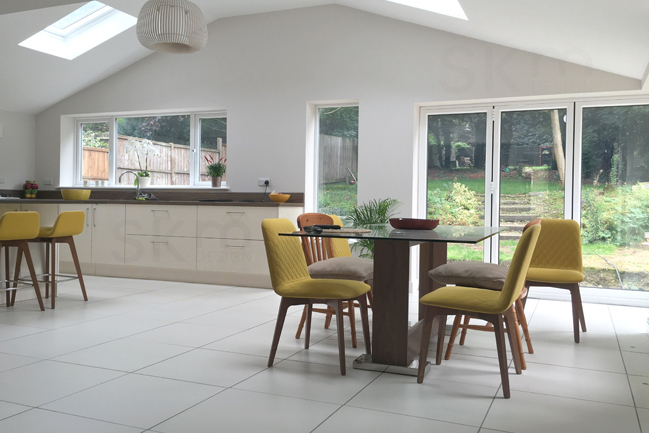 Long, slender windows – in particular the corner bi-folding door – offer a variety of views out to the garden and allow in plenty of natural light. 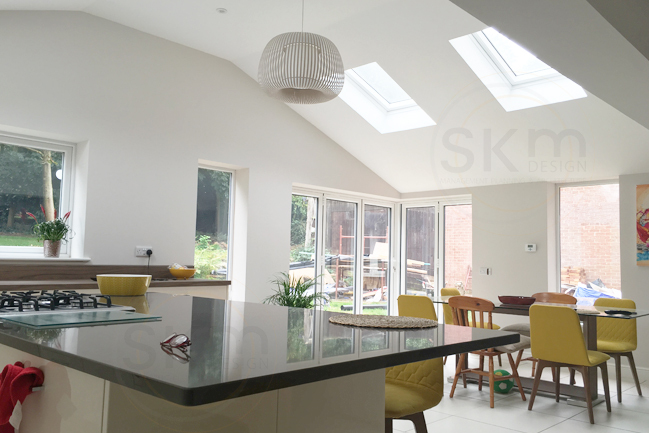 The extension also features underfloor heating throughout. 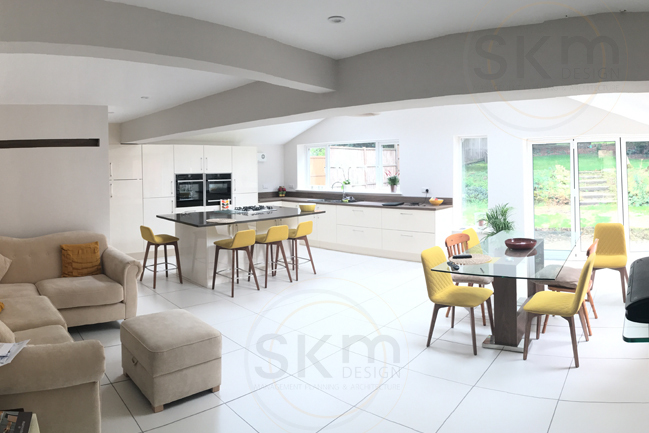 The white walls and floor tiles are complemented by dark wood worktops and cream cabinets, adding warmth to the kitchen area. 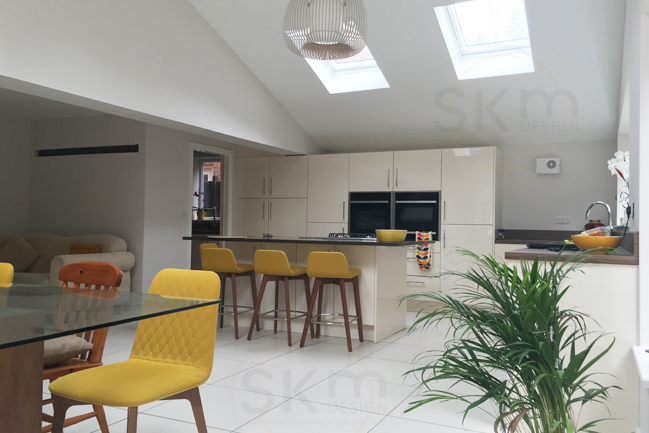 Splashes of colour and soft fabrics throughout the interior help to create a more homely and relaxed atmosphere.